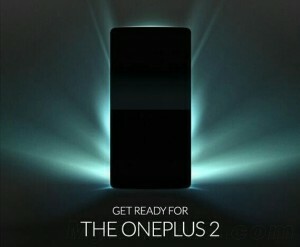 The OnePlus 2 has been quite the tease. The team’s has been keeping us on our toes for the last few months, disclosing information one bit at a time. Most of the revealed specs do sound quite interesting, but there is also the slightly-disconcerting fact that the device will be powered by a Snapdragon 810 SoC. The said chipset is a major market flop and is still suffering from severe overheating and throttling issues. However, the OnePlus team has promised that the model it has decided to use is a new version 2.1 and no longer suffers from the issues. We are willing to give it the benefit of the doubt, but some proof would definitely be nice. 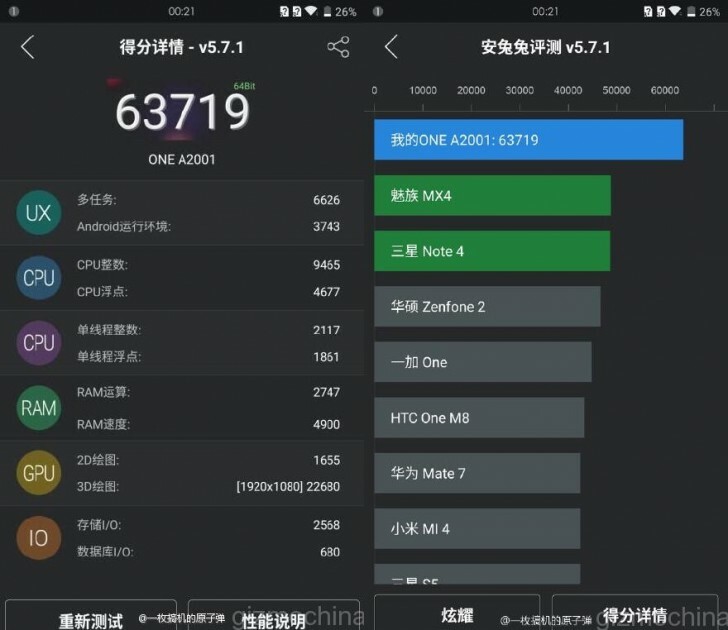 Today gives us a leaked AnTuTu benchmark score that allegedly shows the OnePlus 2 (A2001) using the new Snapdragon 810 to its full capacity. 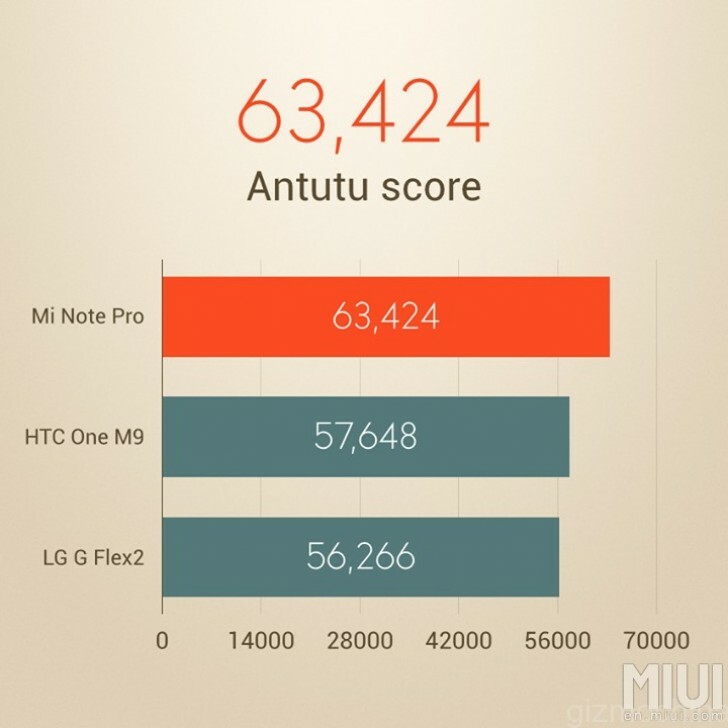 The exact score is 63,719 points, which might just be the best performance we have seen from Qualcomm’s current top of the line chip, even better than in the Xiaomi Mi Note Pro. Keep in mind that AnTuTu is by no means a simple CPU benchmark and a lot of other hardware and software factors can affect the overall score. What most of us are really hoping for, is that the OnePlus 2 is free of nasty overheating problems, which could prove devastating for the success of the handset. As for the rest of the OnePlus 2 specs sheet, we currently know that it will use a 5.7-inch screen with a resolution of 1440 x 2560 pixels and 515 ppi density. The camera setup consists of a 16MP main camera with a Sony Exmor IMX 234 senor and a 5MP front-facing one. The manufacturer confirmed 4GB of LPDD4 RAM and include dual SIM support, too. Not long left now until the grand VR announcement which will clear the remaining mysteries.